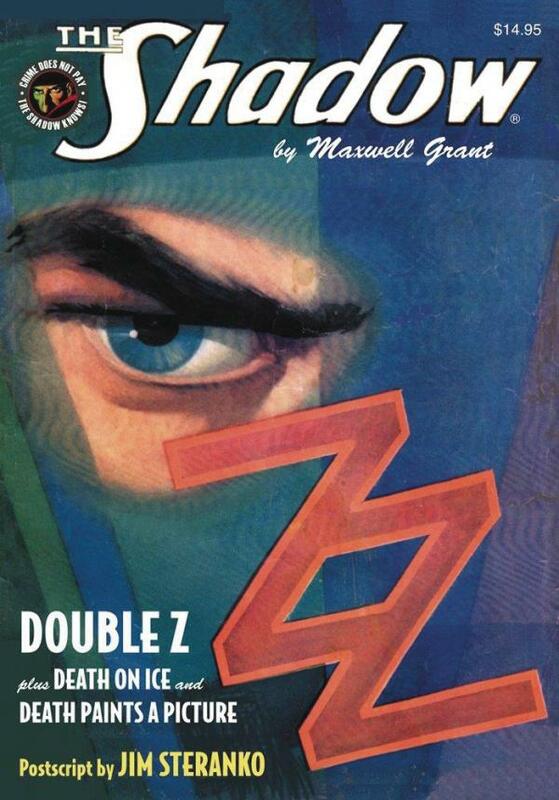 The Dark Avenger crushes crime in two pulp thrillers by "Maxwell Grant" and a lost Shadow radio adventure by Walter B. Gibson, with a Postscript by legendary artist Jim Steranko! First, a master crook known only as "Double Z" terrorizes New York with serial slayings that are publicized in advance! Then, The Shadow investigates violent "Death on Ice" at a mountain resort, as the Fool Killer stalks helpless victims! Bonus: "Death Paints a Picture" in a long-lost Shadow radio script.